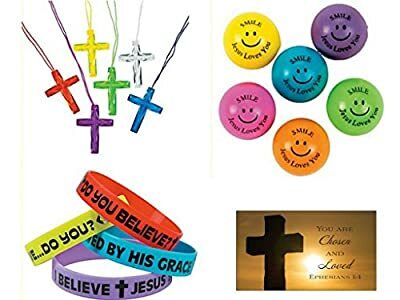 Right now you are looking at our great merchandise, 145 Piece Religious Christian Theme Party Favors Gift Bundle Set for Kids by the brand Bizzybecca. 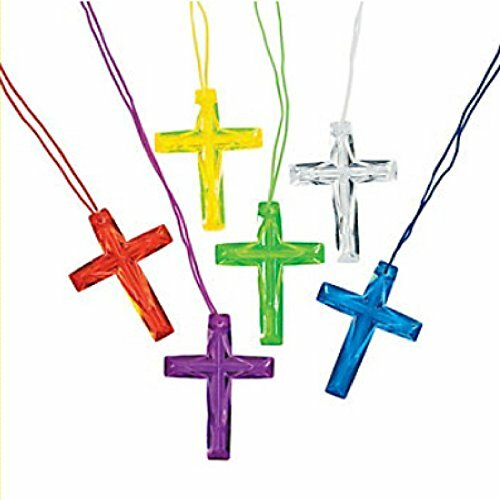 This is a perfect product for any Christian and should be in your home. Order this item now! Necklaces are plastic and measure 26". 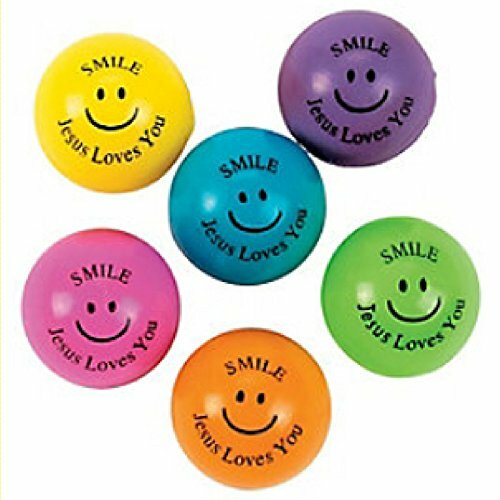 Assorted Color Rubber Bouncing Balls measure 1" and read "Smile! Jesus Loves You". 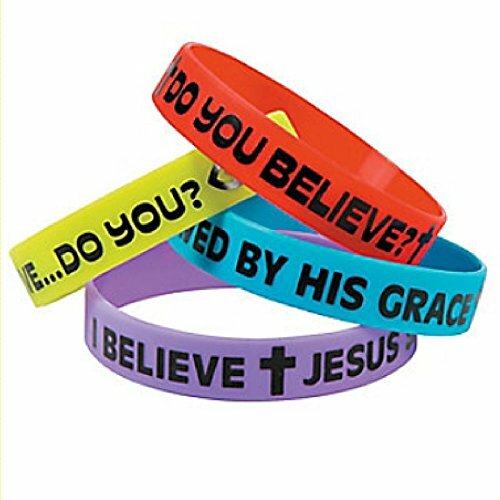 Religious Sayings Bracelet Sayings include; "Do You Believe? ", "I Believe Do You? ", "I Believe Jesus Saves" and "Saved By His Grace". Bracelets measure 7 1/4" circ. 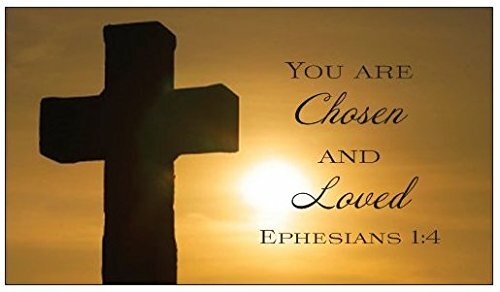 Includes a card that can be used as a mini book mark or encouraging gift with scripture Ephesians 1:4 (measures 3.5" x 2"). Scripture Card included was designed and sold exclusively by seller BizzyBecca.